If you're looking for an RV that's stacked with great amenities and is built for the long haul, look no further! The 2020 Gulf Stream BT Cruiser 5255 is an ideal Gas Class C Motorhome for you! You'll find this model and other top-notch RV brands at sensational prices when you visit Tradewinds RV Center, Flint's full-service RV dealership! We're located at 4325 W Vienna Rd Clio Michigan 48420, but even if you don't live near Clio we can still bring your RV to you with our 24/7 nationwide delivery service! So give us a call at 810-686-0710 today to start your camping adventures tomorrow! 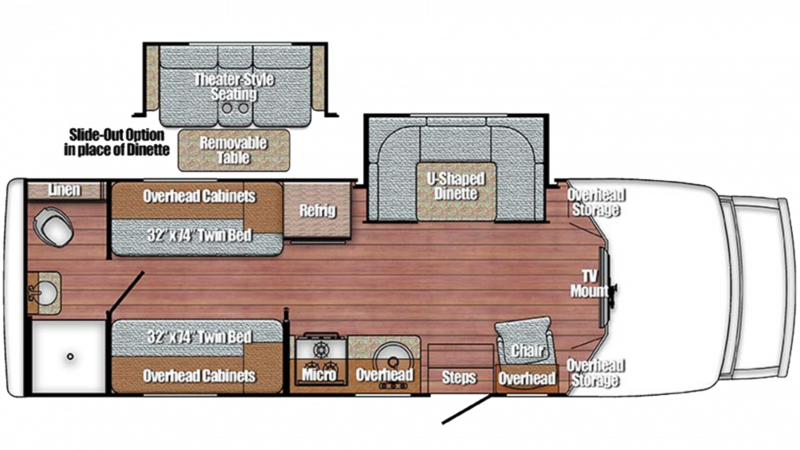 You'll love the spacious comfort of this 28' 7" long, 8' 0" wide Gas Class C Motorhome. When it's sizzling outside, you'll stay fresh and cool inside, day or night, thanks to the 13500 BTU a/c unit. And when the weather turns cold, the 25000 BTU furnace will keep everyone warm and cozy! Head into the kitchen and you'll find all of the appliances you need to cook up delicious meals on the road, including the 3 burner range cooktop, the 6.00 cu. ft. refrigerator, and more! There'll be an abundance of clean water on the trip thanks to the 44 gallon freshwater tank!